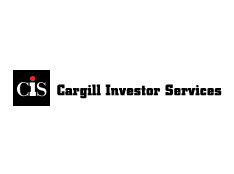 Cargill Investor Services (CIS) is a global futures and options broker, which ranks among the top ten Futures Commission Merchants in the world. CIS sought a system to perform trade reconciliation between CIS and nearly 800 clients. The major challenge was to transform client trade data into a standard neutral format. Normally, reconciliation is based on a unique identifier that is common to the systems being reconciled (e.g. check number, stock ticker, etc.). There is no such standard for commodity futures and options. Further, each client may represent trade data in a totally different manner with different file layouts and different representations of dates, dollar amounts, contract sizes and even commodity codes. Even the number of transactions may be different in that CIS can execute multiple trades in satisfaction of a single order. CIS wanted to avoid the need to write a custom data transformation program for each client. Pro-Found solved the problem by creating a special purpose mini scripting language (with only a handful of commands) which could be used by non-technical CIS support personnel to direct the transformation of client data to the required CIS format. CIS credits Pro-Found with empowering their account support people to offer a high-value service to CIS customers in a most cost-effective matter. Completed in approximately 3 months, the system was written in JAVA with a Visual Basic front-end and using XML to represent the scripts.